Organized as part of Québec City’s 400th anniversary celebrations in 2008, the New France Festival was first held in 1997 at the behest of the Québec City municipal authorities who were looking to set a historic festival inspired by the lives of the first European settlers against the background of Old Québec. The event was such a success from the start that it quickly became an annual event. The festival sought to bring to life over a dozen sites, all in the historic district of Old Québec. It is set to the background of Québec City, one of North America’s most historic cities. The event is aimed at city residents, visitors, families, and anyone with an interest in history. 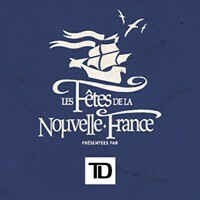 The decision to hold ongoing activities on the sites and in the streets throughout the event is a key part of the New France Festival. Drawing on a number of artistic disciplines and a host of different approaches, history is brought to life for visitors in any number of ways. The event has come up with a style of its own by integrating a host of resources blending art and history, evoking and reconstructing past and present. The entire festival is associated with a series of ongoing activities that includes parades and performances of all sorts, which with the help of visitors help create a festival atmosphere that is one of a kind and perfect for celebrating history. Historical content is key to the event. A different theme is chosen each year to allow the New France Festival to come up with original ways to present every facet of history in order to shed light on a period or important historical phenomenon, allowing visitors to discover and share in a whole new world. A broad range of cultural activities with an arts and entertainment flavor are put on, and such quality content has enabled the festival to become a major event. Just like the enormous popular festivals of the past, the New France Festival is steeped in a fun and celebratory atmosphere. The atmosphere comes from both the planned activites and the extras who work the sites and the streets of Old Québec and quickly spreads to everyone else involved in the festival, bringing the city to life every summer.